The Sri Lanka Clinical Trials Registry (SLCTR) is an internet-based, not-for-profit clinical trials registry providing free access to researchers, clinicians, funding agencies and the public. It welcomes registration of trials conducted in Sri Lanka and overseas. The SLCTR has been operational from November 2006, and was the first functioning clinical trials registry in South Asia. It was recognized as a Primary Registry of the Registry Network of the International Clinical Trials Registry Platform of the WHO (WHO-ICTRP) in March 2008. The SLCTR currently accepts only clinical trials with a health-related intervention and does not register observational studies. It encourages prospective registration of all clinical trials, and does not accept trials for retrospective registration. It meets all the requirements specified by the WHO-ICTRP and the International Committee of Medical Journal Editors (ICMJE). The SLCTR is managed by the SLCTR Committee, an advisory group appointed by the Sri Lanka Medical Association (SLMA). 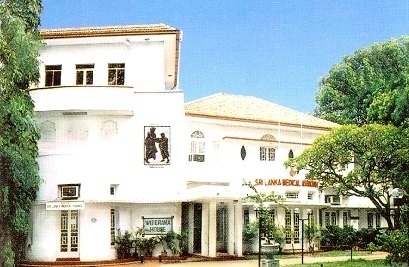 The SLMA is the premiere professional medical association in Sri Lanka, and is the oldest medical organization in Australasia with a proud history dating back to 1887.